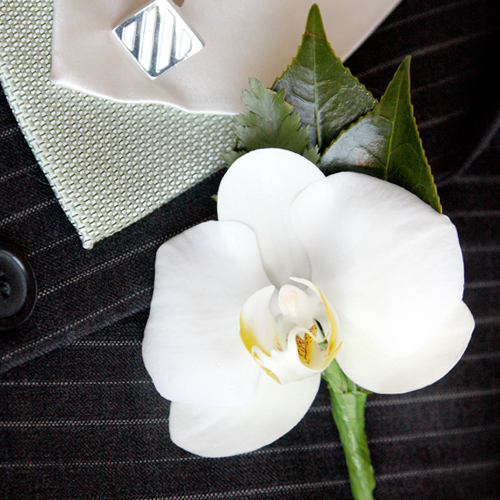 A Buttonhole is "traditionally" worn on the men's left label, because it's above your heart....awwwwww!! 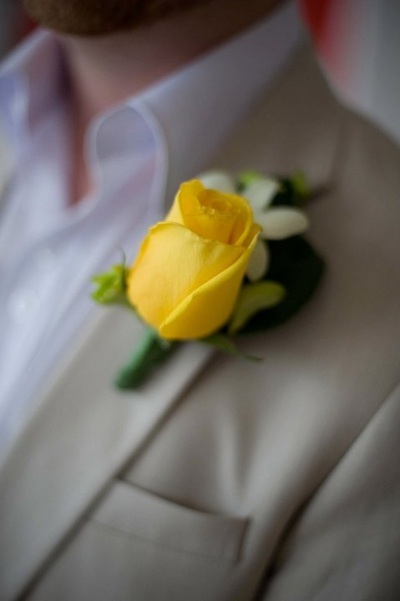 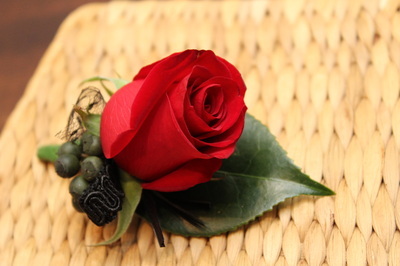 It should be worn on the outside of the buttonhole not in it as it will never sit quite right. 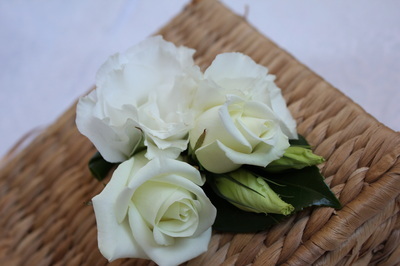 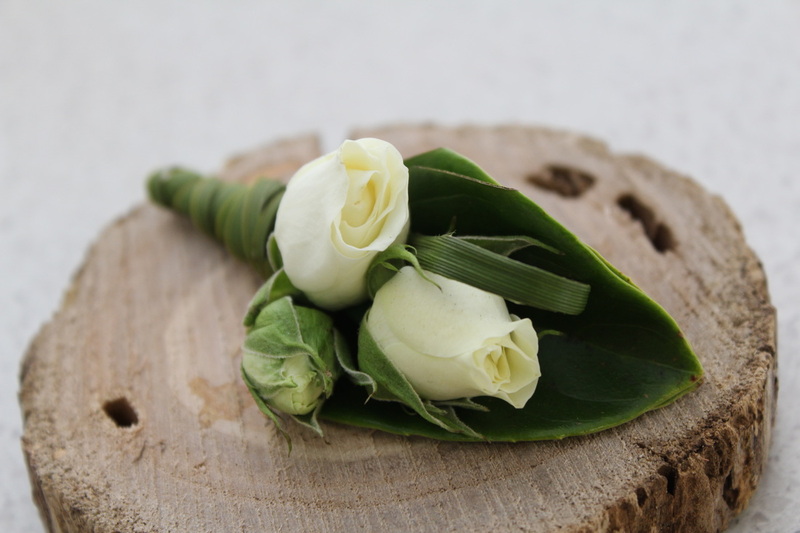 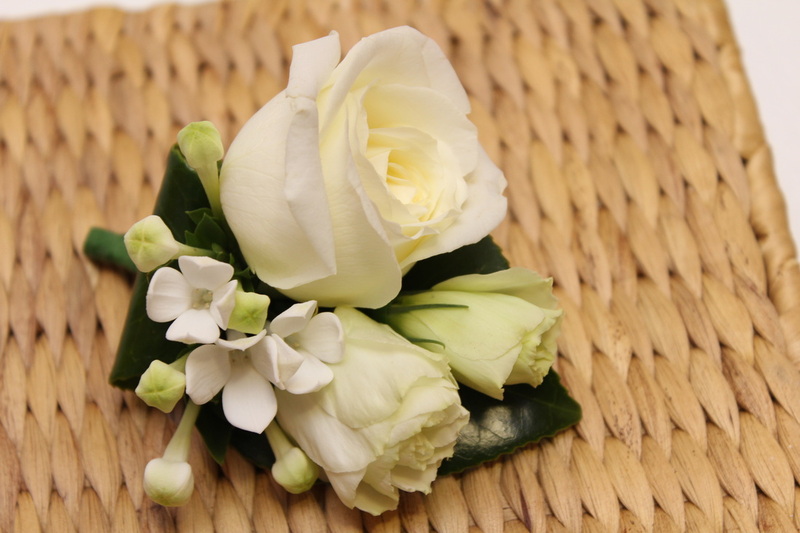 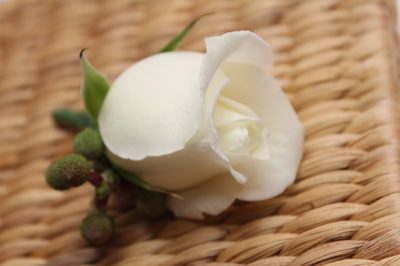 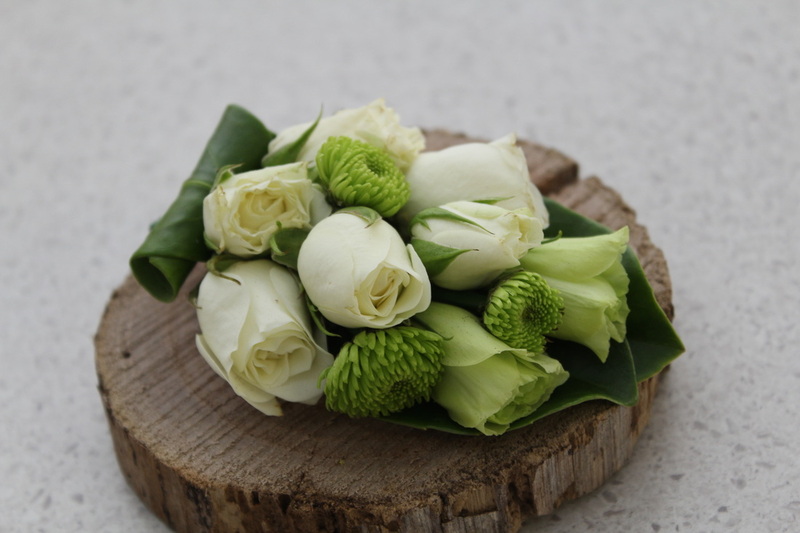 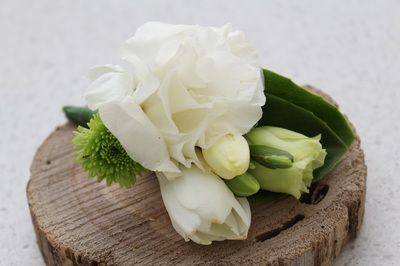 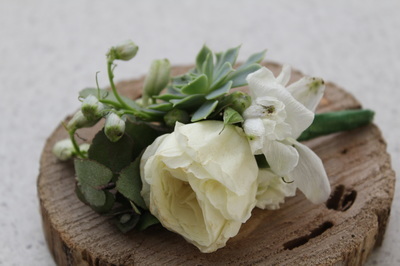 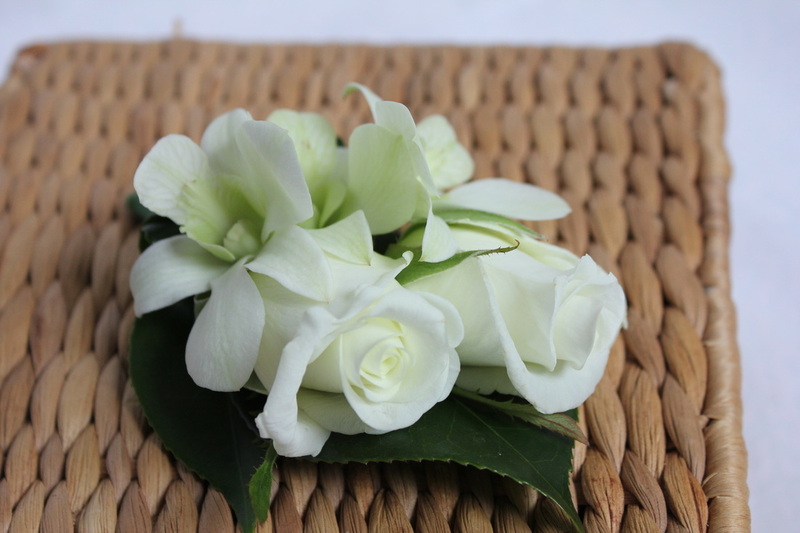 The flowers used for a buttonhole generally should compliment the Bride's flowers, whereas the bestman and groomsmen's buttonhole should complimant the bridesmaids. A corsage can be worn a few different ways depending on the person who will be wearing it and the type of fabric it will be attached to. 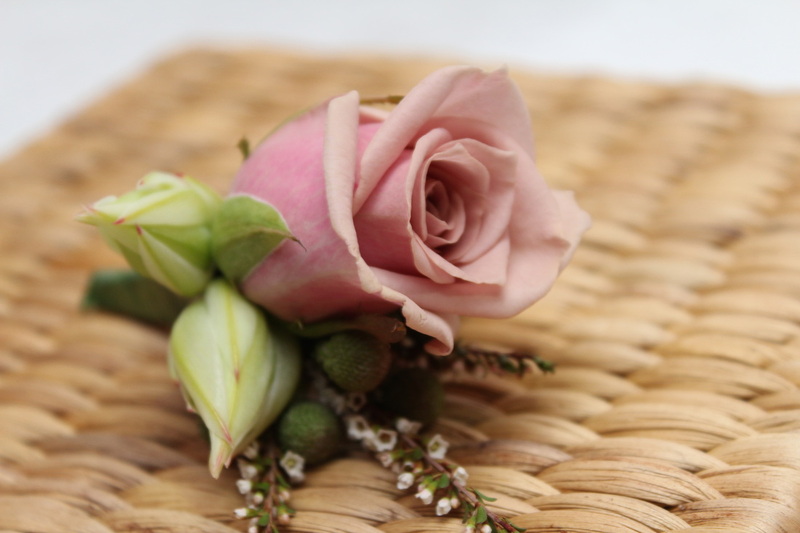 The most popular choice for a corsage would be to wear it attached just below the lady's left shoulder with the stems pointing up. 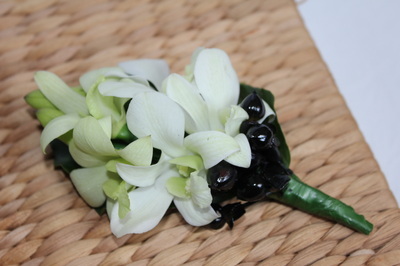 They can also be attached to a handbag or clutch or worn as a wristlet. 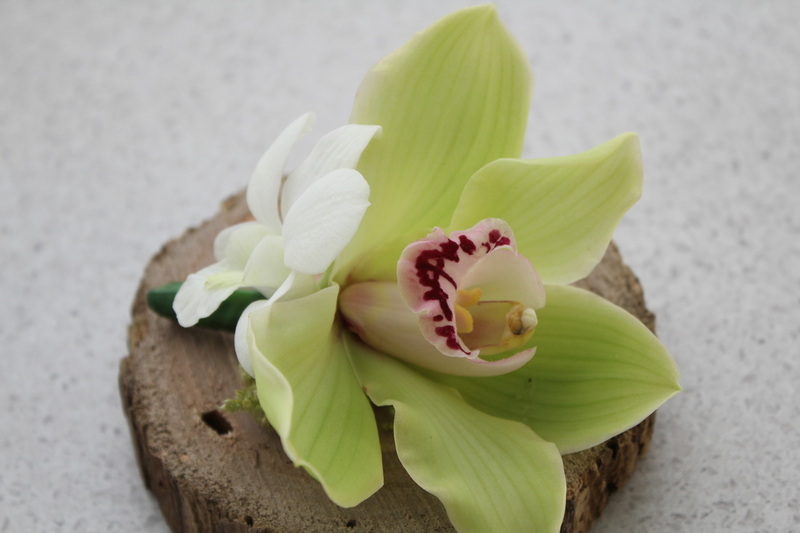 The girls at Functions 2 flowers will help design your buttonholes, corsages or wristlets to compliment your wedding flowers.